Are you ready for the fun and craziness of the holiday season? I am, and my kids certainly are! We have a lot of fun doing things like trick-or-treating, visiting the nursing home in our Halloween costumes, and preparing all sorts of cozy Fall treats or crafts. At the end of each day, though, I am ready for a break! Once the house is quiet I enjoy relaxing with my husband, and it’s even better if we have something tasty and healthy, like Pumpkin Spice Paleo Sipping Cocoa, to enjoy! Pumpkin Spice Paleo Sipping Cocoa does what I call “the thing.” You know that thing, where you take a taste and get really happy? Very few foods are allowed into “the thing” category! They have to be REALLY good, and I’ll admit that it is usually dark chocolate that does “the thing” for me! It must be all those neurotransmitters, released by chemicals naturally occurring in the chocolate, telling my brain this is a good food that brings life, not sickness. While we’re on the subject of the health benefits of chocolate, do you remember some of my older posts about it? If not, let me remind you! Dark chocolate is full of fiber, iron, trace minerals, and antioxidant flavonoids. Now, I’m not talking about the really sweet milk chocolate you find in most candy bars. I’m talking about 70% cocoa or more! One serving (40 grams) of my 73% cocoa bar has 5 grams of fiber and 25% of your daily need for iron! Pumpkin Spice Paleo Sipping Cocoa does have some sugar in it, which can be especially hard on your body if you are diabetic. Use the smallest amount that tastes good to you, and I highly recommend using xylitol , instead of coconut sugar, if you need to watch your sugars. It is a low carb natural sweetener, with a Glycemic Index rating of only 7. Xylitol is not Paleo, though, so use the coconut sugar if you’re committed to that diet. It is also important to note that the coconut cream in this recipe will help your body deal with the sugar. Before we get to the recipe for the Paleo sipping cocoa, I want to invite you to join with others who are making healthy changes. I’d love to walk alongside you in your journey towards wholeness and health! Jesus said, “I have come that they may have life, and have it to the full!” Freedom from food addictions is part of having a truly full life. 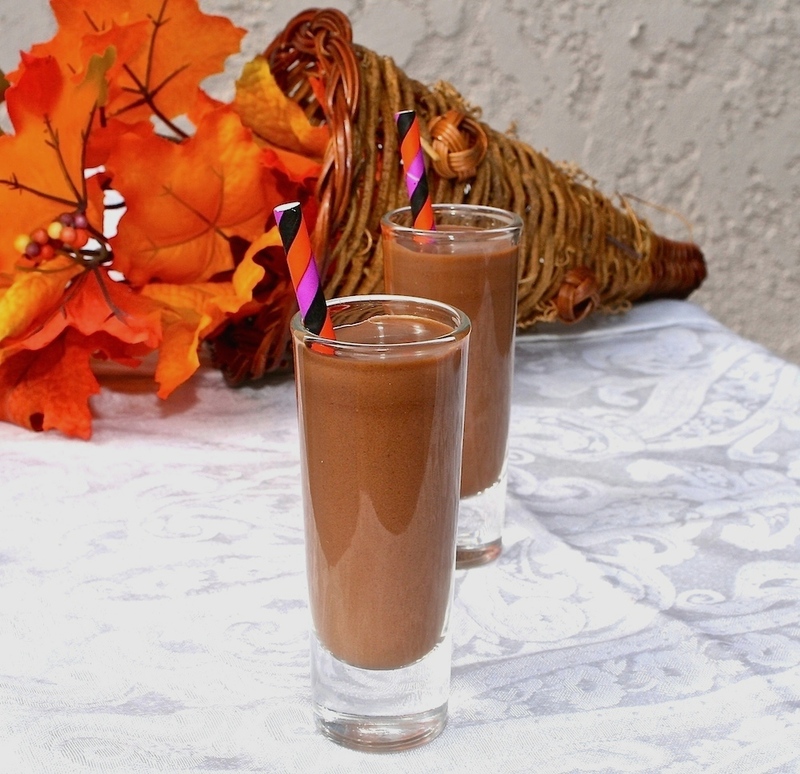 Note about the recipe: Although I love to drink the Paleo sipping cocoa as I’m relaxing in the evening, I also think it would be VERY popular at a party! The amounts I’m giving you will serve 6-8 if you serve them in mini dessert dishes . Make less if you are only serving 2! 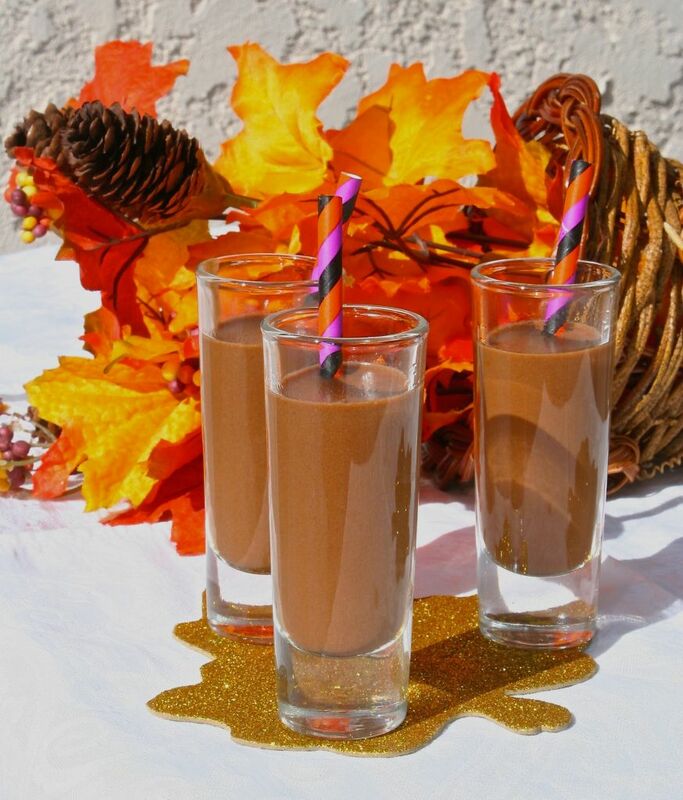 This rich dessert should be served in small amounts, but if you add extra almond milk you can turn it into pumpkin hot cocoa (serve it in 8 oz mason jars with Fall straws ). Place all of the ingredients in a ceramic non-stick pot over medium-low heat. Whisk frequently as it heats up, making sure to break up the cocoa chunks. Heat for about 7-10 minutes, or until just before it boils. Serve in mini dessert dishes with Fall straws that have been cut to be the correct length. Sprinkle with extra pumpkin pie spice and enjoy! 3 Responses to "Pumpkin Spice Paleo Sipping Cocoa"